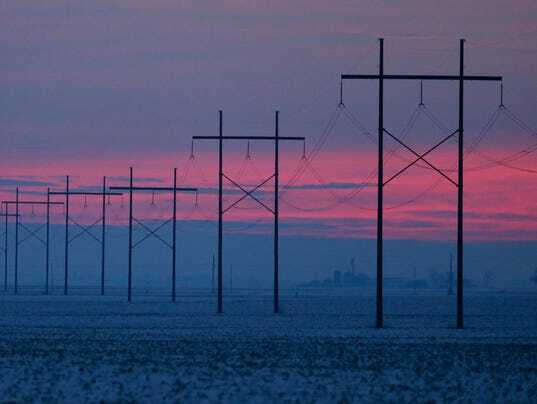 Building electric power lines across long distances and state boundaries can be a daunting task for developers, as the best-laid plans can go awry over local opposition. That was the case for an independent transmission company called Clean Line Energy and its proposal to ship wind power from Oklahoma and the Texas Panhandle across Arkansas to the southeastern U.S. Five years ago, regulators in Arkansas turned down the so-called Plains & Eastern project, saying Clean Line Energy didn’t qualify as a public utility serving the state’s electricity consumers. Moreover, the project triggered public protest s, including complaints that the power line and its towers would mar landscapes and that landowners would not be adequately compensated for property taken for the development’s corridors. But Clean Line Energy found a sympathetic ear in Washington, where the U.S. Department of Energy last week agreed to participate in the development of the 700-mile high-voltage line despite Arkansas’ objections. The DOE decision marks the first time that the agency has exercised a provision in a 2005 energy law giving it the option to enable new transmission lines in western and central states if certain criteria are met, including easing congestion and accommodating growing demand for electricity, and if developers pay fully for the costs. “We need to get to a place where the big infrastructure gets built,” Jimmy Glotfelty, a founder of Clean Line Energy and its executive vice president, said of projects like the Plains & Eastern transmission line. “If we don’t get it built in a timely fashion, the capital will go somewhere else, and that will have an impact on energy prices. This is a challenge that folks are going to have to continue to wrestle with for some time.” Congress sought to facilitate modernization of the U.S. electric grid by including the DOE provision in the Energy Policy Act of 2005, a law passed with bipartisan support and signed by a Republican president, George W. Bush. Section 1222 of the law allows DOE to assist the development of transmission lines in 21 states where the department’s Southwestern and Western power administrations distribute and sell electricity from federally built dams. Clean Line Energy, whose investors include National Grid, one of the largest investor-owned energy companies in the world, and ZBI Ventures, a wholly-owned subsidiary of Ziff Brothers Investments, is the only applicant for such DOE involvement, according to the department. “Only time will tell how much it’s used,” Glotfelty, who was an official at DOE during the Bush administration, said of the department’s authority. Clean Line Energy also indicated previously that it might take the same course of action for another project called the Grain Belt Express, a 770-mile line from southwest Kansas to Indiana, which was turned down by Missouri regulators last year.